Who: This story is about my husband Nicholas and my daughter Eleanor. Where: In our living room, in Philadelphia, PA. When: On a cozy Sunday afternoon in May 2013. 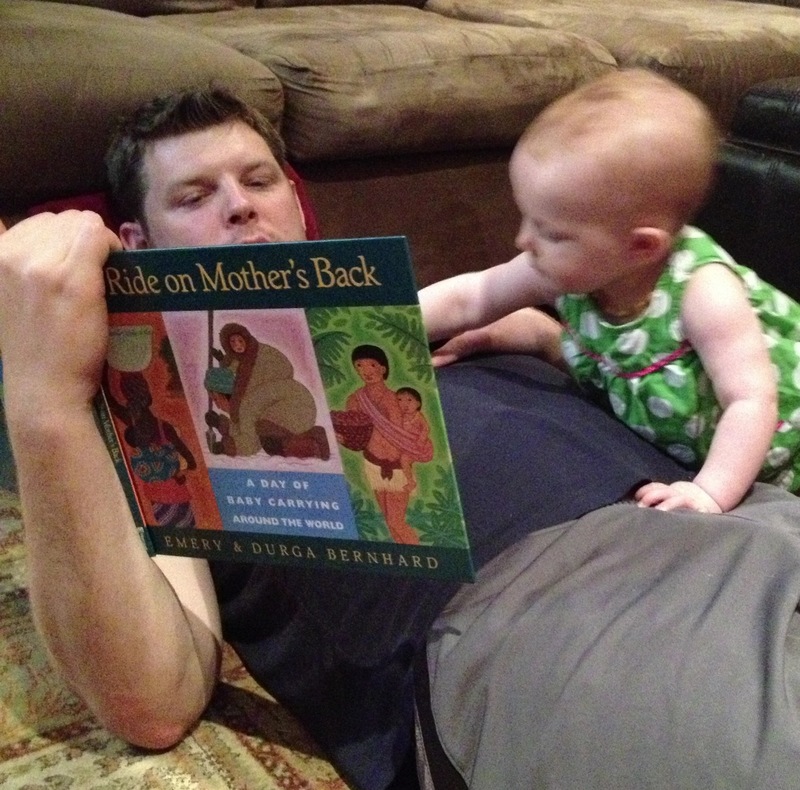 Why: Eleanor will be 9 months on May 21st and she is showing a very assertive interest in books. Apparently she picked this one up from the living room pile and brought it over to my husband to read to her. I love how this book shows her that people all over the world carry their babies in all kinds of wraps and carriers, for many different reasons, in all kinds of weather, doing all kinds of daily activities. love this my daughter is named Eleanor as well such a great name! So sweet! My 9 month old daughter is very interested in books all of a sudden. I keep looking at this one online and I think your post has officially talked me into it.